To help you get the word out in your area about this amazing event, we’ve created these easy-to-use resources that can be downloaded, printed, and put into action throughout your community—all without busting your budget. Color Press is especially experienced and equipped to print fillable flyers, posters, banners, and to handle your bulk ZIP code mailing needs. Please contact them as soon as possible to be sure your advertising is the most effective. 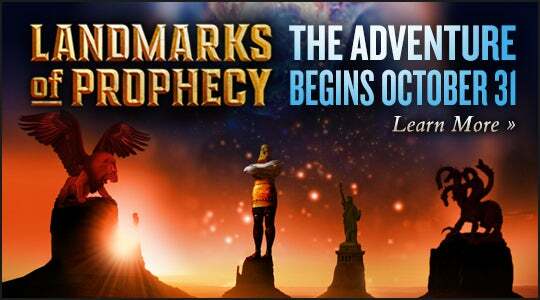 Our bulletin insert is designed to help you share Landmarks of Prophecy with your church family. 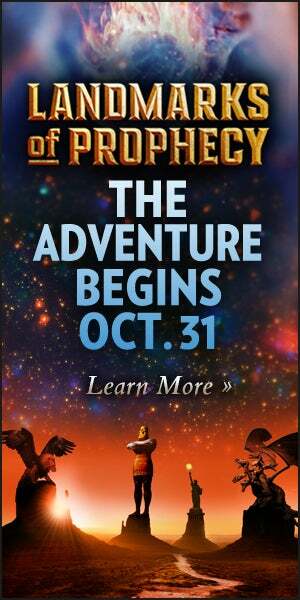 This piece is ideal for use as a half-page insert in your church bulletin. 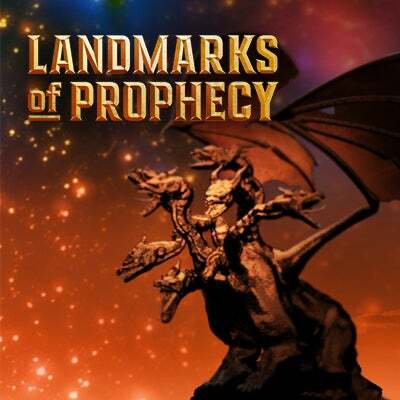 Our Landmarks handbill is a full-color, large-format print piece that has been carefully designed to spark curiosity in the mind of everyone who receives it! This marketing tool is formatted so that it can be sent directly into homes as a stand-alone mailer—however, it can just as easily be delivered in person through your community door-to-door outreach efforts. The back panel features a large area for you to customize with information and details specific to your local event. If you want an attention-grabbing mail piece that will stand out from the junk mail clutter—this one is for you! NOTE: This is a watermarked, low resolution PDF file that is not suitable for printing. Please contact ColorPress at 800-222-2145 x 109 for details on how to customize it for local use. 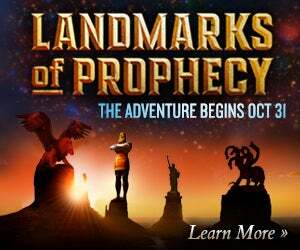 Download and print this attractive, easy to carry bookmark and share the good news about Landmarks of Prophecy with your friends and neighbors. This is an excellent sharing resource to use while out and about! 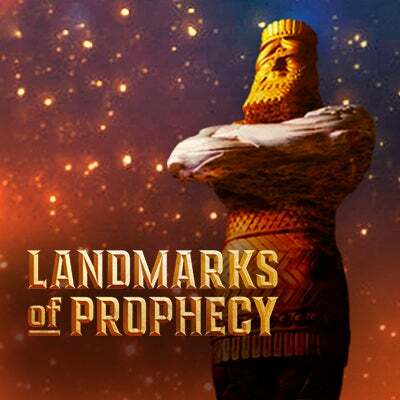 Put up a full-color vinyl banner on your church that boldly tells passing traffic that they can watch this series at your location. This flexible design leaves room for you to customize it by adding additional information specific to your location. 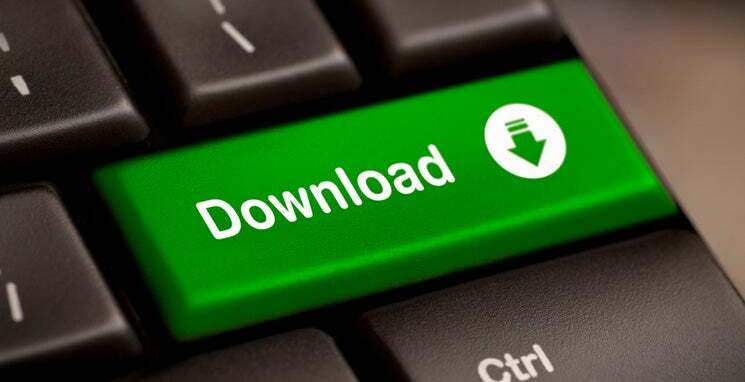 Simply download this file, have it customized by a graphic designer in your area and print! Most sign printers can give you a finished product in just a few days. 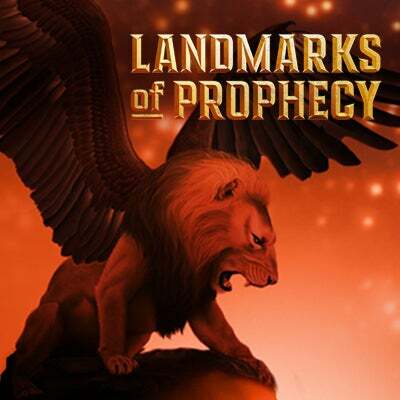 Spread the word on Facebook by replacing your profile picture and cover image with gripping Landmarks of Prophecy imagery. 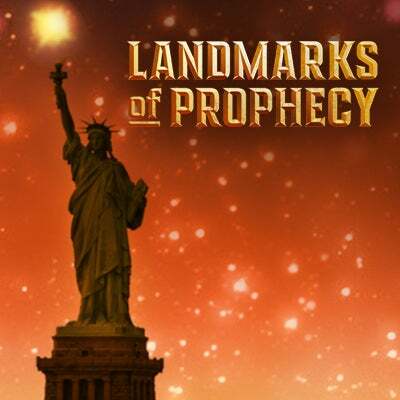 Post these ready-to-use web ads on your website to drive traffic back to www.landmarksofprophecy.com. We’ve even included the HTML code to make it easier! At 555 feet, the Washington Monument is the tallest structure in Washington, D.C., and no other structures are permitted to be taller. Until the Eiffel Tower was constructed, this monument, shaped like an Egyptian obelisk and built to honor our first president, was the tallest building in the world. 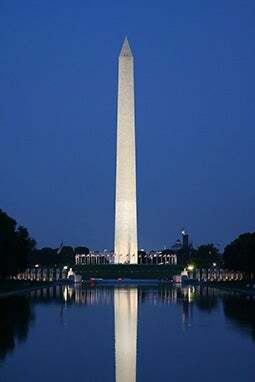 Begun in 1848, the structure was made from marble, granite, and sandstone blocks, 36,491 in all. The total weight is over 80,000 tons. Construction was halted from 1854 until 1877 due to a lack of funds, and the monument didn’t open to the public until 40 years after it was started. When the monument opened in 1888, only men could ride on the steam-powered elevator because it was considered to be dangerous. Women and children were required to climb the steps—all 897 of them—to the top. The monument is topped by an aluminum pyramid-shaped cap that has important names and dates from the monument’s construction written on it. And the Latin phrase “Laus Deo,” which is translated “Praise be to God,” is inscribed on the east face of the cap.